VDI, Virtual Desktop Infrastructure, is a term that refers to using a virtualized desktop that is hosted on a Virtual machine that lives on a server. In other words, there is no physical desktop computer in front of you, but rather a terminal or remote desktop connection to a virtual machine that is hosted, secured and fully customizable per user basis. VDI allows businesses and IT departments to streamline the cost of equipment by utilizing a single server to host multiple desktops for end-users while delivering a secure platform that is accessible to users from virtually anywhere they are. Many firms use this Virtual Desktop Infrastructure for applications and business functions that additionally cut the cost of ownership and use down tremendously. 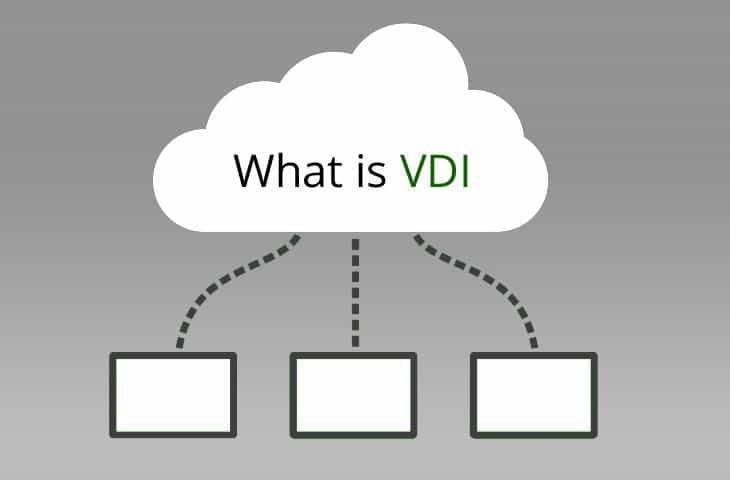 Here are some reasons why VDI is beneficial which answers the question, What is VDI? Save Money on Licensing and individual Workstations/PCs by using Thin Clients. These are just a handful of benefits to VDI and what it has to offer and how they can really simplify end-user support, licensing costs and management and backups. There are several major providers for virtual desktop hosts which can help you in developing a virtual desktop infrastructure. Learning what VDI is and how it's used can help you make the right decisions when looking to convert to a VDI environment.